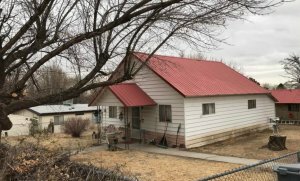 We Buy Houses in New Mexico! Call (855) 741-4848 for Your CASH Offer Today! New Mexico is a state rich in heritage, history, and some of the most beautiful landscapes to be made anywhere. It is also home to some of the finest cities in the United States. If you are fortunate enough to live in this state, then you already know what we are talking about. At the same time, if you are planning to move in the near future, even if it is to another state, you want to find the easiest way to do that. 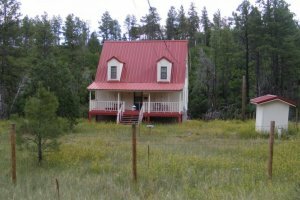 Your thoughts naturally turn to the potential of having your home listed on the New Mexico real estate market. This can work for some people, but certain demands can also make this avenue impossible to utilize to one’s benefit. To that end, Dependable Homebuyers can help. We are a national home buying company, but we also have deep, personal ties to many of New Mexico’s best cities. 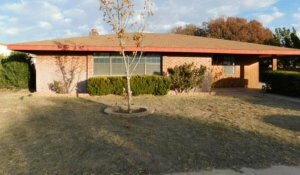 Whether you need to sell your home in Albuquerque, or sell your home in Santa Fe, we can help. Our expertise and efficiency is such that we can even buy your home in just a couple of weeks. It all begins by establish a point of contact with us. Within just a few hours, we will be there with a firm offer on your property, regardless of the condition it might be in. At Dependable Homebuyers, we are a national homebuying company with a considerable degree of experience in this field. We have essentially streamlined the home-buying process to create a situation in which everyone gets what they want in the most efficient fashion possible. 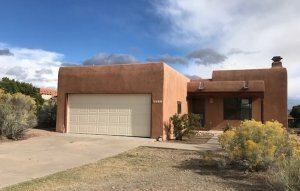 You want to sell your home in New Mexico? We want to buy your home! We are not interested in a long negotiation process, nor are we interested in making you go through the process of appraisals and inspections. What we want to do is make it as easy as possible to sell your home, get the money you need, and get on with your life. The process couldn’t be more straightforward. Simply contact us, and we will be in touch shortly to discuss the next stage. We do our own research, which will include a brief tour of your home. All of this will happen within a few hours of the point of contact. We will then make you an offer on your home. Understand that you are not required to accept this offer. It is important to us that you have time to consider the price we will offer you. Take your time in deciding. If you do decide to sell to us, we can have the money direct deposited into your account within a few days. Our goal is to make sure a homeowner gets their money in seven days or less. That is all there is to it. Compared to selling your home through a realtor, our process is extremely straightforward. We buy homes in bulk, so it is in our best interests to make things simple for everyone involved. Selling your home through a realtor can be a positive, relatively simple experience. Unfortunately, it is always going to be a time-consuming experience. Very few homeowners, regardless of their home, or where they live, are able to sell their home almost immediately after getting it listed. When we talk about selling your home through traditional real estate channels, we are talking about a process that can wind up taking several months. In certain extreme cases, we are talking about a process that can take years. The whole thing can be very frustrating. It can also be rather costly. Naturally, the realtor is going to cost you some money. There are numerous fees and commissions that you will have to keep in mind. You may also have to pay for things like inspections or appraisals. Finally, you may have to pay for certain repairs, depending on your situation. This kind of work can wind up costing you tens of thousands of dollars. At this point, it’s easy to see that your profits from selling the home are starting to dwindle. You also need to make sure the home is ready for showings. This can put a strain on your schedule, while forcing you into a cycle of showing strangers an idealized version of your home over and over again. Dependable Homebuyers skips all of this. More to the point, we do not have to sacrifice anything to give you the results you are looking for. Ask anyone who has worked with our company in the past. 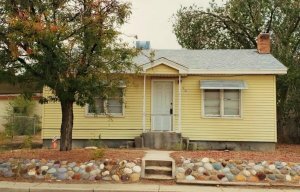 They will tell you in no uncertain terms that we are a transparent company with a strong reputation for making generous CASH offers on homes throughout New Mexico and beyond. Perhaps the best part? We will buy your home AS IS! We Buy Homes In ANY Condition! We’ll Buy Your House AS IS! Regardless of the condition of your home, we are going to be interested in what you have to offer. Do you have problems with your foundation? Are your walls cracked and/or damaged? Are there issues with the roof? Is your backyard a complete wreck? When we tell people that we will buy their homes in any condition, we really aren’t kidding. Even if your home is in serious need of repair, we are still almost certainly going to make you a fair CASH offer on your home. In fact, even if you still owe money on the home, we can discuss the possibility of selling. Many homeowners have used our services to sell their home as a means of staving off the looming threat of bankruptcy. Regardless of why you need the money, it stands to reason that you want to get it as quickly as possible. We certainly understand. That is why our process is so straightforward. We need to be able to buy homes in bulk. You need money as quickly as possible, or you need to get rid of a property as soon as possible. We can obviously come to some sort of arrangement to that end. There are a number of reasons as to why someone might choose Dependable Homebuyers to meet their needs. You may find yourself in the position of needing to pay major medical bills. You can also be in a situation in which you find yourself so far behind on mortgage payments, you know in your heart that you have no reasonable chance of catching up. These aren’t situations any of us like to think about, but they can nonetheless happen. When you find yourself in one of the situations mentioned above, and you need to sell your home, going the traditional route just isn’t realistic. If you find yourself in a time crunch, having to wait weeks, or even months, can completely derail what you need to do. In some situations, you can find yourself in a worse situation than when you started. This is what we mean, when we tell people that the traditional real estate market isn’t necessarily for everyone. Our process ensures you will have CASH in just a couple of weeks. More often than not, it is less than that. You may also find yourself with a property that you recently inherited. This is something that happens all too often to people. Even if you don’t plan to ever use the property, the financial burden of maintaining it, while also still taking care of your own home, can create an overwhelming situation. You can fix the place up, if need be, and rent/sell the home on your own. While these aren’t bad ideas, keep in mind that even just selling or renting a home can become a huge financial stressor, combined with the time demands such an endeavor will no doubt place on you. We don’t want you to spend months on the real estate market. We certainly don’t want you to spend what can wind up being tens of thousands of dollars on repairs and other demands. These are things that can add to stressful circumstances already going on in your life, or they can take things in an unpleasant direction. This is something we have encountered all too often. At the end of the day, it just doesn’t make sense to invest a significant, ongoing amount of money in something that will never actually build equity. This can be true of someone who has inherited a property, but it can also be true of someone whose home needs considerable repair work, or someone who is far behind the mortgage payments. If you have ever wondered if there might be a better way to get rid of a home, you may have come to the right place. There are very few situations in which we are unable to make someone a direct CASH offer on their property. Talk to anyone who has worked with our company in the past. They will tell you that nothing makes us happier than the opportunity to fix a home that has fallen into disrepair. You would be amazed at how many “damaged” homes can be restored with some simple work. This isn’t something you will ever need to worry about, as we are going to take care of everything, but it is nonetheless still worth thinking about. Understand that we are not here to waste your time. We are not here to stick you with hidden fees, commissions, or anything else that might eat into your bottom line. Regardless of who you are, or the condition of your home, we are going to be ready to present you with a cash offer. We are not affiliated with any realtors or similar groups/individuals. We are not associated with any banks, lending institutions, or anything else along those lines. 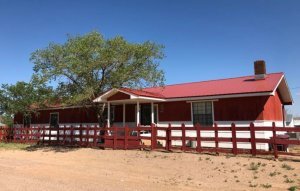 We are an independent group who purchases homes in bulk throughout New Mexico and other parts of the United States. If you decide to accept our offer, we will directly deposit the money into your bank account. That will be the end of our involvement. We will take up the home, which means that we will be responsible for everything that goes with it. You can take your money and move on to more important things. The property will no longer be something you need to concern yourself with. The benefits of selling your home through Dependable Homebuyers is clear. We will make sure you understand everything involved in this process. Please feel free to ask any questions along the way. We want you to have complete confidence in your decision. It is worth mentioning one more time that even after we make the offer, you are under no obligation to accept it. Quit procrastinating! 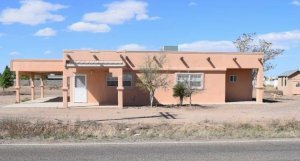 If you need to sell your property in New Mexico, then give us a call at (855) 741-4848! Our home-buying process is the most straightforward to be found anywhere. In fact, this whole thing is so simple, some people might think it is just too good to be true. Can I really get the fair market value for my home in just a couple of weeks? Can I really have that money deposited directly into my bank account? You bet. At Dependable Homebuyers, we stand by everything we promise. We have built a strong reputation among the cities, towns, and neighborhoods across the country. This reputation is built around giving generous CASH payments, but our transparency is another part of our reputation. When someone calls us to get started, they can understand in no uncertain terms that we are going to help. We are here to take care of everything. Selling your home can make your life a good deal easier to deal with. Imagine you want to get rid of your larger home for something more minimalist. 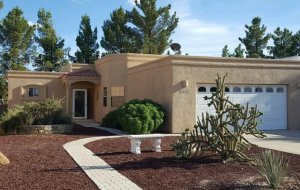 You can spend weeks or longer working with realtors and New Mexico real estate websites. You can also opt to sell your home directly to us. If you need money quickly, that is going to be your best solution.